The four-cylinder Ford 2000 tractor was very similar to the 601 Workmaster series of Ford tractors. It is entirely different than the later three-cylinder 2000 which replaced it. live*Optional, available with the five-speed transmission. independent*Independent PTO available with the Select-O-Speed transmission. 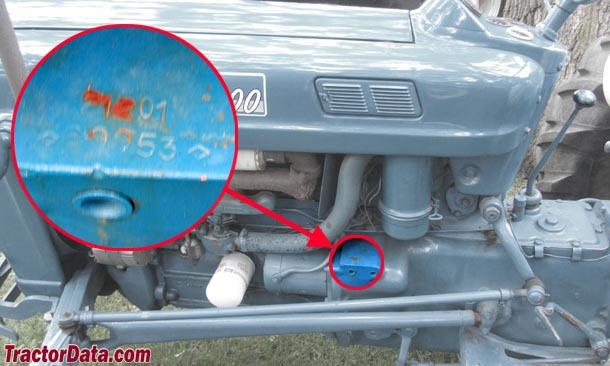 Location: Serial number stamped on the top of the starter mount casting, on the left side of the tractor.